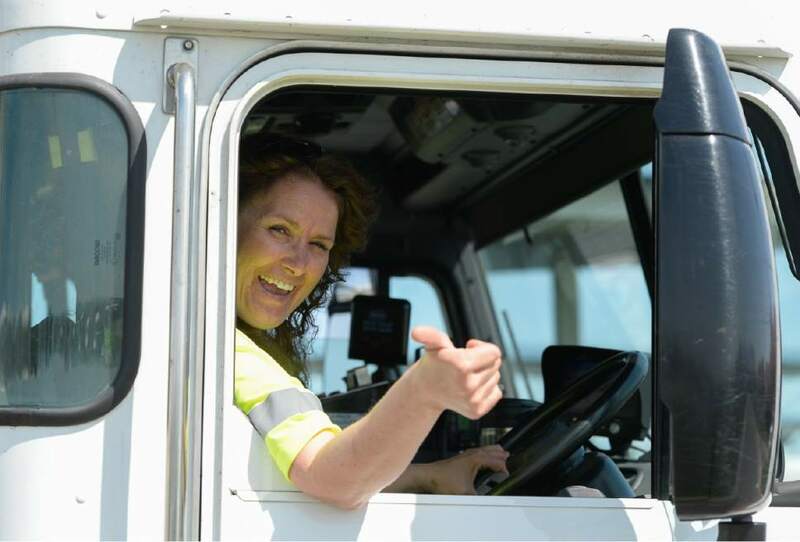 Recycling and garbage-truck operator is first woman to claim national "Driver of Year" award. 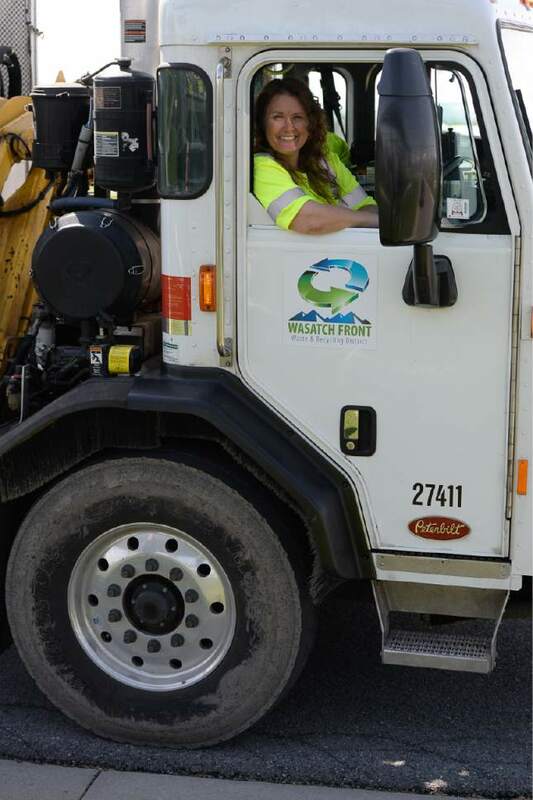 Francisco Kjolseth | The Salt Lake Tribune Rhonda Kitchen who has been driving garbage and recycling trucks for the Wasatch Front Waste & Recycling District for the past 17 years, was selected as 2017 "Driver of the Year" in the category of small government operations. Francisco Kjolseth | The Salt Lake Tribune Rhonda Kitchen who has been driving garbage and recycling trucks for the Wasatch Front Waste & Recycling District for the past 17 years, was selected as 2017 "Driver of the Year" in the category of small government operations. Francisco Kjolseth | The Salt Lake Tribune Rhonda Kitchen who has been driving garbage and recycling trucks for the Wasatch Front Waste & Recycling District for the past 17 years, was selected as 2017 "Driver of the Year" in the category of small government operations. Francisco Kjolseth | The Salt Lake Tribune Rhonda Kitchen who has been driving garbage and recycling trucks for the Wasatch Front Waste & Recycling District for the past 17 years, was selected as 2017 "Driver of the Year" in the category of small government operations. Francisco Kjolseth | The Salt Lake Tribune Rhonda Kitchen who has been driving garbage and recycling trucks for the Wasatch Front Waste & Recycling District for the past 17 years, was selected as 2017 "Driver of the Year" in the category of small government operations. Francisco Kjolseth | The Salt Lake Tribune Rhonda Kitchen who has been driving garbage and recycling trucks for the Wasatch Front Waste & Recycling District for the past 17 years, was selected as 2017 "Driver of the Year" in the category of small government operations. 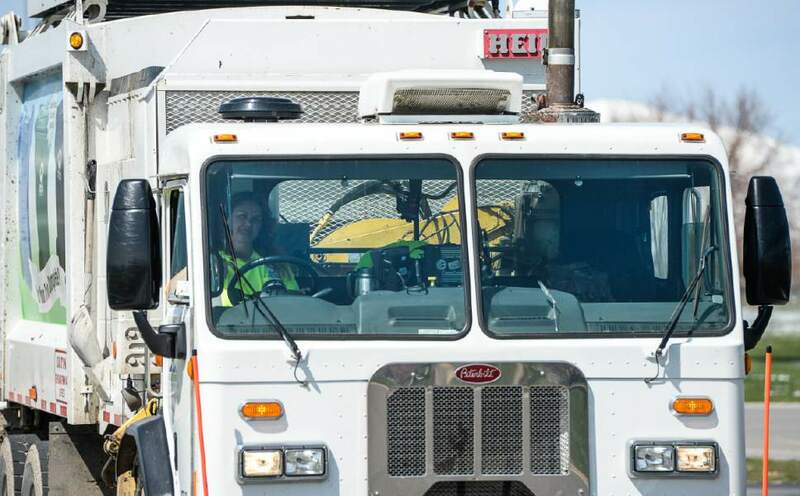 Francisco Kjolseth | The Salt Lake Tribune Rhonda Kitchen who has been driving garbage and recycling trucks for the Wasatch Front Waste & Recycling District for the past 17 years, was selected as 2017 "Driver of the Year" in the category of small government operations. Kearns • Rhonda Kitchen was born to drive a truck. 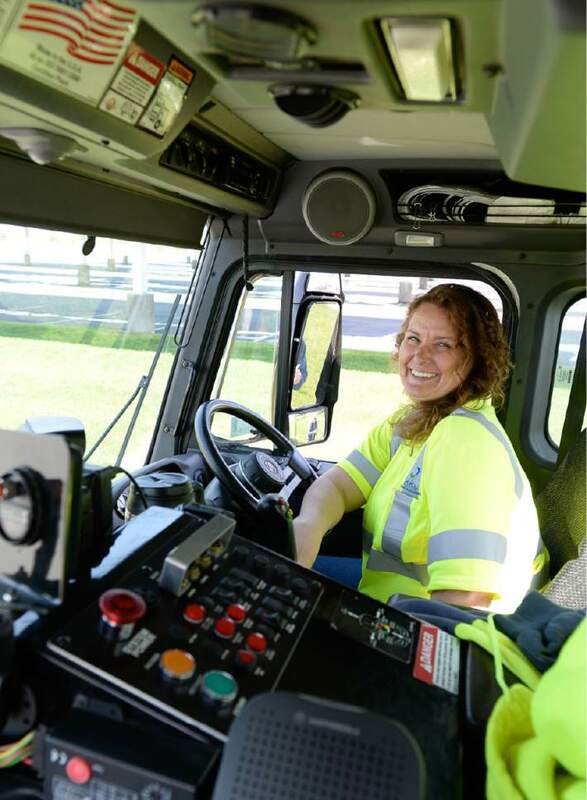 The National Waste and Recycling Association recently recognized her abilities behind the wheel, making her the first woman to win its Driver of the Year award in the public sector. "It was in my blood before I was a twinkle in my daddy&apos;s eye," said Kitchen, laughing easily as she paused during a Monday morning recycling run in Kearns to answer questions about the award. She&apos;s not joking. Her grandfather drove a garbage truck. Her uncle ran the Salt Lake County landfill at one time. Her husband, Trent Dawson, drives a truck for a different company. Her dad&apos;s a mechanic. A brother-in-law and a cousin are mixed up in the business, too. "She&apos;s a good egg. I can tell you that," said her boss at the Wasatch Front Waste & Recycling District, Executive Director Pam Roberts. "She knows every piece of equipment we use. 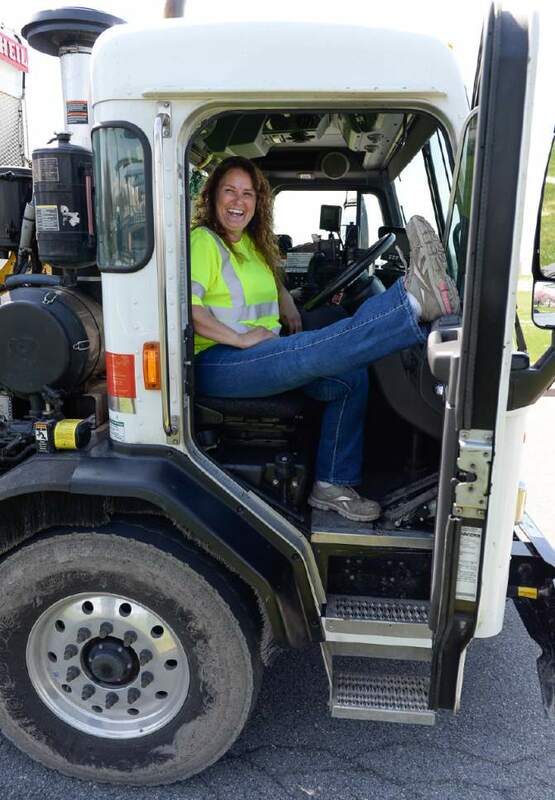 She&apos;s an expert in everything  garbage trucks, recycling, front loaders, trailers when we deliver them to homes." 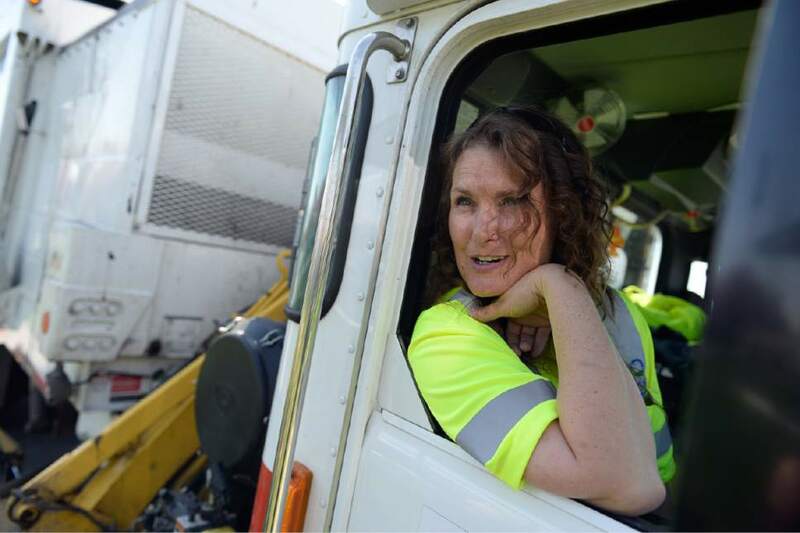 "I like the variety," said the 48-year-old West Valley City woman, a Cyprus High School graduate who started working in the landfill&apos;s scale house two decades ago, then began driving a truck 17 years ago. "I like being out and about." While she primarily handles residential pickups, usually in a recycling truck, Kitchen&apos;s experience makes her an ideal "floater," Roberts said. "If we&apos;re ever short [on personnel], she&apos;s quick to jump right in and fill in wherever we need her," she added. "If somebody is needed to do the front-end loader, they&apos;ll pull her to do it. If an area cleanup is short, she&apos;ll jump in there." That can be almost anywhere. The district serves Taylorsville, Millcreek, Holladay, Herriman and Cottonwood Heights, parts of Murray and Sandy, unincorporated islands surrounded by Sandy, and the metro townships of Kearns, Magna, Emigration Canyon, Copperton and White City. Kitchen&apos;s ebullient personality also is beneficial to her other role as a trainer, Roberts said. "Rhonda is the most lighthearted person when she&apos;s here at work. Her colleagues respect her so much. She trains other employees and does it in a way that&apos;s understandable for them." Customers like her, too. Kitchen sometimes lets little kids toot the horn on her truck, getting cookies in return on occasion. She also gets compliments along her route from old men impressed to see a "girl garbage guy" at the controls. There&apos;s nothing special about being a woman and driving a truck, Kitchen said, no philosophical statement about equal rights. "It&apos;s just me wanting to get out and do something that I like," she said, "and provide for my family." The uplifting award came at a low point in Kitchen&apos;s life, announced shortly after her 29-year-old son was killed in a traffic accident. She said the honor, but even more so the compassion of agency colleagues, helped her cope with the trauma of her loss. "They&apos;ve been unbelievable, how much physical and emotional support they&apos;ve provided."